Promoted and prompted by Indian celebrities and actors like Lara Dutta, Aishwarya Rai Bachchan, Shilpa Shetty Kundra and even followed by Prime Minister Narendra Modi, Yoga is gaining popularity in the US. The ancient science of exercise and healing has been taken up by Hollywood actors to US First Lady Michelle Obama who are doing it for lasting health, yoga studios are mushrooming in big cities like San Francisco, New York and capital Washington DC. As the world is recognising the health benefits of yoga, the ancient Indian practice of keeping fit is fuelling a $27 billion industry in America, where some 20 million people are practicing it. 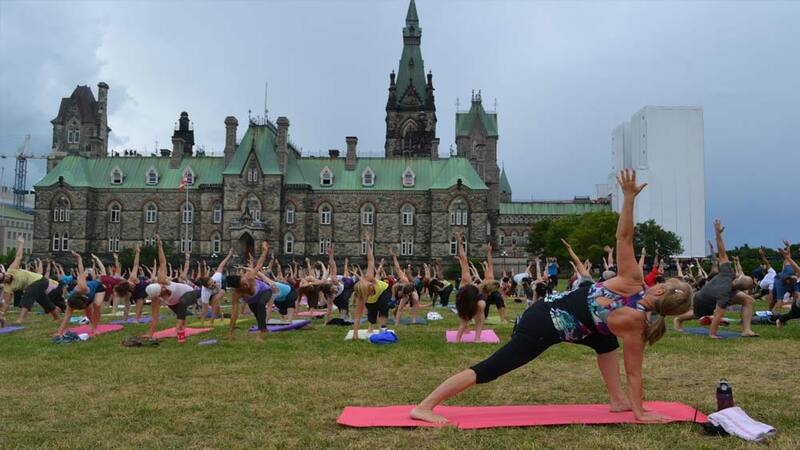 Reportedly, there are yoga clubs, yoga magazines and yoga sites are mushrooming in all over North America. In fact, a Toronto based international yoga chain has about 64 Modo Yoga studios worldwide. The brand is planning to open a new 5,000 sq ft yoga studio in Austin, Texas, says an Austin Business Journal. Moreover, the American College of Sports Medicine also supports the integration of yoga into the exercise regime of healthy individuals and the ancient Indian practice is embarked to be a regular practice in schools, military bases, parks, low-income communities, homeless shelters, children's hospitals and many other locations, where people do not have access to the practice. The 2012 ‘Yoga in America’ study released by San Francisco's Yoga Journal indicates that some 20 million people practice yoga, compared to 15.8 million from a 2008 study, which shows a commendable increase of 29 per cent. Apollo acquires Hetero Pharmacy’s assets for Rs ..